 Iran-March 15, 2019 - In response to a statement issued by the Iranian opposition People's Mojahedin Organization of Iran (PMOI/MEK) for increasing protests during the upcoming Fire Festival (March 19), members of “Resistance Units” inside Iran are targeting the regime’s oppressive centers. In Tehran, members of Resistance Unit 354 set fire to the entrance of a Revolutionary Guards (IRGC) Basij base while chanting, “Death to Khamenei,” referring to the mullahs’ Supreme Leader Ali Khamenei, and “Hail to Rajavi,” in reference to Iranian Resistance leader Massoud Rajavi and opposition President Maryam Rajavi, head of the National Council of Resistance of Iran (NCRI). Members of Resistance Unit 426 in West Azerbaijan Province (northwest Iran) set fire to a Khamenei poster while chanting anti-regime slogans. In Urmia, northwest Iran, members of Resistance Unit 666 set fire to a large Khamenei billboard. In Tehran, members of Resistance Unit 697, set fire to a Khamenei poster while chanting slogans against the regime. In Tehran, members of Resistance Unit 721 set fire to a sign at the entrance of an IRGC Basij base while chanting slogans against the mullahs’ regime and in support of the PMOI/MEK. In Rasht, northern Iran, members of a resistance unit set fire to a Khamenei poster while chanting anti-regime slogans. Members of Resistance Unit 444 in Shiraz, south-central Iran, set fire to images of regime founder Ruhollah Khomeini and Khamenei.